Acer x freemanii ‘Autumn Blaze’ is a magnificent maple tree with stunning silver bark, a wonderful fiery autumn-red foliage and maple shaped leaves. 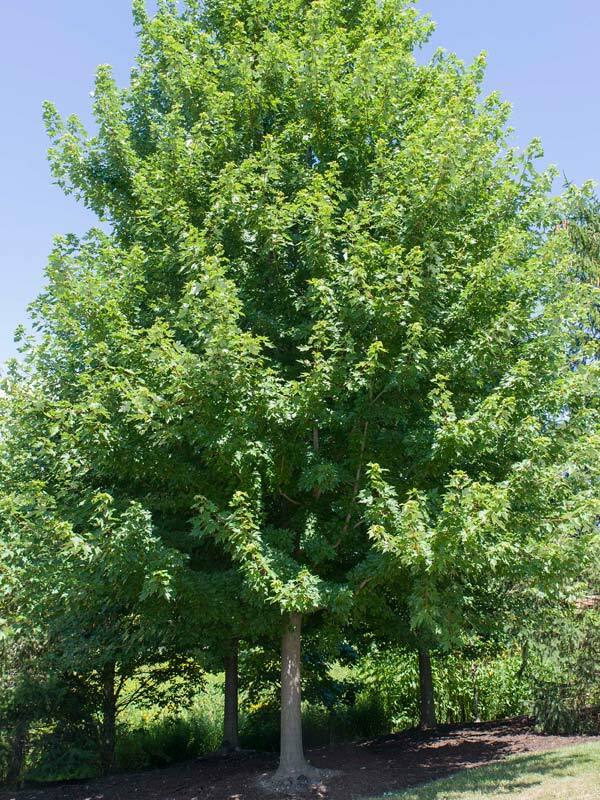 It was introduced as a crossbreed between the Red and Silver Maple trees during the 1980s in the United States of America and has since been brought to the UK and Europe. It is a medium size tree, perfect for garden use, reaching a height of 7-10 metres after 20 years! None invasive roots mean that this tree will not cause issues to any foundations or structures around it making it perfect to be grown close to buildings. Possessing the familiar, sharped lobed, attractive leaves which looks its best during the autumn by making any garden look a lot brighter with its bright red autumn foliage. Its silver bark will make it unique to any other tree in most gardens making it stand out greatly. It is a fast growing and easy to manage tree which prefers to be in some well drained soil that is slightly acidic. It will grow well in all but the very exposed sites. Fully Hardy.